Vega-C is an improved version of the Vega rocket family. This new version introduces some new motors. 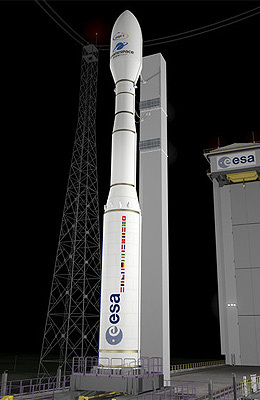 The first stage will consist of the P120C motor, which will also be used for the Ariane-6 launcher. As second stage, the larger diameter Zefiro-Z40 will be introduced. The third stage is an updated version, while the AVUM will get 150 kg more fuel, 100 kg less in structural mass and will be called AVUM+. A new 3.3 m fairing is also introduced. Vega-C is planned for a maiden flight in 2019. The Vega launch vehicles is launched from the refurbished ELA-1 complex, now redesignated ELV, at Kourou.